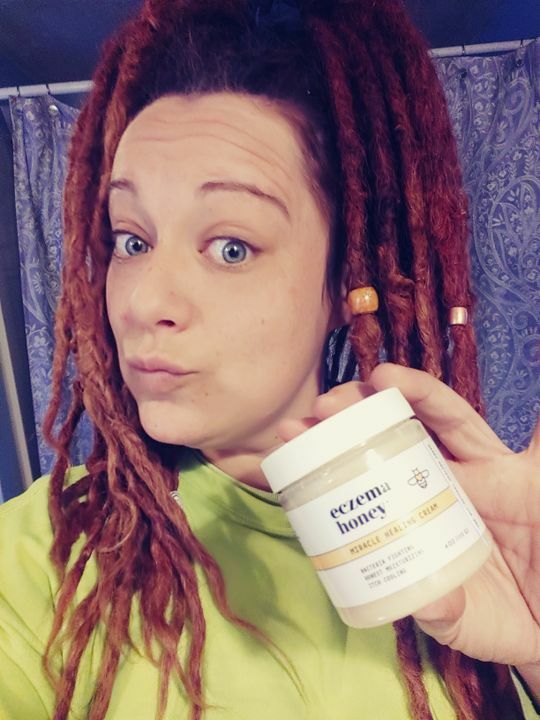 Whether you’re looking to energize and rejuvenate or simply soothe the day away, Eczema Honey Oatmeal Bath Bomb is an easy way to these bath benefits in one drop. Our bath bombs are about twice as large compared to normal bath bombs for long lasting benefits. Now you can take a calming bath and give your body all the moisture and nutrients in a convenient, all-in-one bath bomb. So fill up a bathtub with warm water, drop in an Eczema Honey Oatmeal Bath Bomb, and step in to enjoy its calming wonders. Your skin will thank you for it. Fill up a bathtub with warm water, drop in an Eczema Honey Oatmeal Bath Bomb, and step in to enjoy its calming wonders. Your skin will thank you for it. I ordered six of these amazing bath bombs, unfortunately these products along with the chapstick are the only two items my two year old baby niece can use because she's also allergic to lavender. When my sister bathes her with these her skin gets so soft and hydrated. We are obsessed with the bath bombs! I loved it all, even made a big post on my Instagram! My kiddo loves your products and I'm so thankful!